A Merrivale teenager will be jetting off to Mexico where she will represent South Africa in an international pageant with hopes of bringing the crown home. 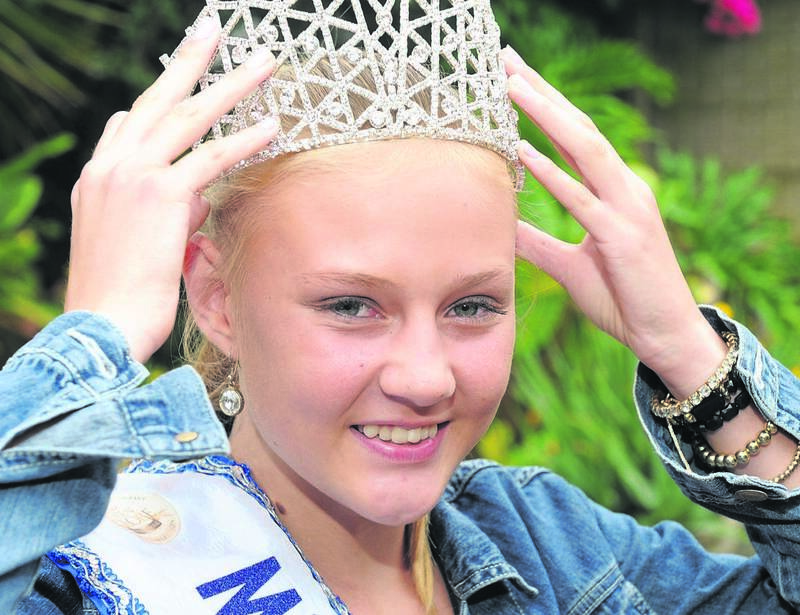 After winning the Miss World Petite South Africa 2019 crown earlier this month while competing in the Miss Teen Globe/Tourism South Africa 2019 pageant, Mieke van der Merwe (14) was selected, along with one other girl, to represent South Africa in the international pageant in Mexico in November. Mieke, who only joined the modelling industry under her mother’s watchful eye two-and-a-half years ago, said she had never expected to have gotten this far in her modelling career so fast. On winning the Miss World Petite South Africa 2019 crown, Mieke said it came as a surprise to her. “I really didn’t think I was going to win and I had made peace with that. I had already had so much fun leading up to the pageant night and made friends. When my name was called I didn’t react immediately, the girls next to me had to nudge me a little and told me that I won,” laughed Mieke. Her excited mother, Annelie, said she sometimes got too nervous but her daughter was always calm and collected. “She becomes a totally different person on stage,” she said. “Mieke is one of those typical ‘I love myself’ children. She’s always wanted to be a model so badly but I felt that I didn’t want to put her under so much pressure while she was still in primary school. “Every time I would pick my daughter up from school the woman who is now Mieke’s modelling coach used to stop me and ask me, ‘when can she start, when can she start?’ until I eventually gave in and allowed her to join the modelling agency,” she said. The proud mother said her daughter is quite certain that she will one day take part in Miss SA and this was a good way of building up a foundation for her. “We used to think pageants were simple and straight forward until we started participating last year. A lot of work goes into preparing for a pageant and they can be very expensive,” said Annelie. She said they were still trying to raise funds for Mieke’s trip to Mexico in November. The mother and daughter said they were both excited about the trip and were hopeful they would come home with the crown.